Always see the current newsletter for the up-to-date schedule. 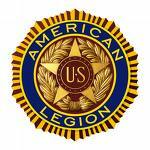 March 21st Legion Meeting at 7pm, Meal at 7:30pm, Vernon County Meeting, 8pm NOTE CHANGE IN DAY (THURSDAY) AND DATE(March 21) AND TIME 7pm - 7:30 pm), and Vernon County Meeting at 8pm! July 26-30th State Legion Baseball Tournament in Westby, Westby/CV Baseball team will be playing!